Hello. It’s been a while, quite a while. Sorry. I never intended to take such a large break from my blog. I actually had a number of posts planned when I published my last post, but life happens. And, wow, did life decide to throw me a hell of a lot of curve balls these past few months. This is kind of my re-entry into … Continue reading Where Have I Been? Hello. Happy New Year. I hope you’re looking forward to 2018 as much as I am. I’m ecstatic to be saying goodbye to 2017. 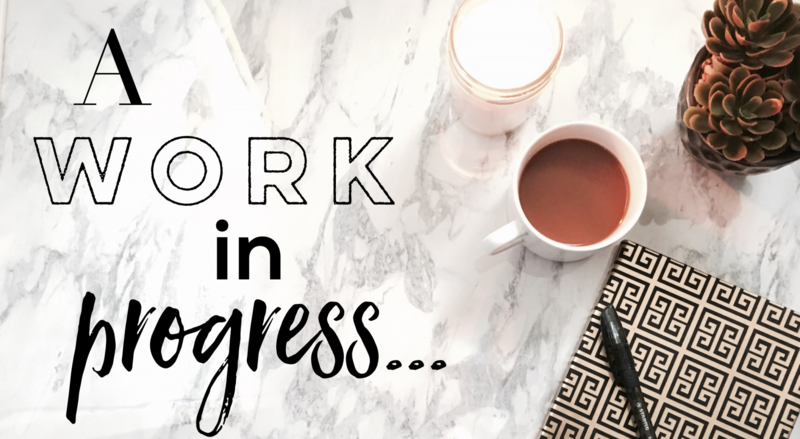 I’d like to welcome you to ‘A Work in Progress…’ my newly revamped blog. I’ve been working on ‘A Work in Progress…’ for the better part of the back half of 2017. I’ve been jotting down ideas, brainstorming, designing, and everything … Continue reading Welcome!